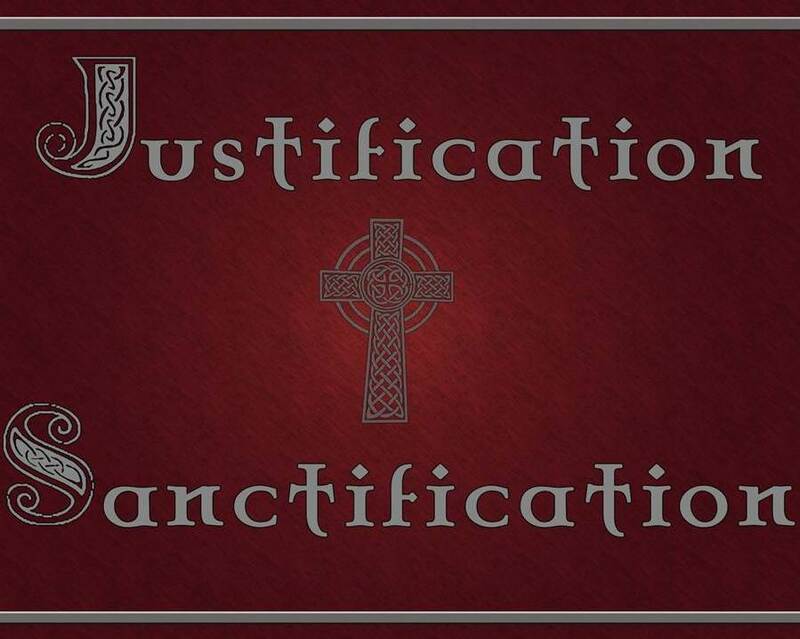 Justification is the act of declaring righteous; while, sanctification is the act of declaring holy. Under the Old Covenant, men were justified (declared righteous) by faith in Jesus Christ. Those who died before Jesus defeated death, were justified by their faith in the belief that he was to come to sanctify them. The law could not justify nor sanctify them. It could only reveal sin. The book of Hebrews speaks of the disappearance of the Old Covenant and the implementation of a New Covenant. After Christ’s death but before His resurrection, He was in the heart of the earth for 3 days getting the keys to death and Hades. It was at this time that He fulfilled the prophecy spoken in Genesis 3:15. He also sanctified all of the believers who had died under the Old Covenant, fulfilling it and making it obsolete. This is why Jesus was baptized in Matthew 3:15 Jesus replied, “Let it be so now; it is proper for us to do this to fulfill all righteousness.” Then John consented. Hebrews 10:9-10 Then he said, “Here I am, I have come to do your will.” He sets aside the first to establish the second. And by that will, we have been made holy through the sacrifice of the body of Jesus Christ once for all. Notice the ‘once for all.’ This is in reference to those under the Old Covenant as well as those coming under the New Covenant. Hebrews 9:15 Therefore Christ is the mediator of a new covenant, so that those who are called may receive the promised eternal inheritance, now that He has died to redeem them from the transgressions committed under the first covenant. Being that the Old Covenant is obsolete, believers after the time of Jesus all fall under the “terms and conditions” of the New Covenant. II Corinthians 3:6 And He has qualified us as ministers of a new covenant, not of the letter but of the Spirit; for the letter kills, but the Spirit gives life. I Peter 1:2 who have been chosen according to the foreknowledge of God the Father, through the sanctifying work of the Spirit, to be obedient to Jesus Christ and sprinkled with his blood: Grace and peace be yours in abundance. Under the New Covenant, men are no longer only justified by faith in Jesus Christ but are also sanctified (declared holy) by the Spirit which can only be received through baptism into Jesus Christ. John 3:5 Jesus answered, “Very truly I tell you, no one can enter the kingdom of God unless they are born of water and the Spirit. **Others have tried to use Nicodemus’ encounter with Jesus later in this chapter to refute that the water mentioned in verse 5 could not be in reference to baptism because this meeting happened under the Old Covenant. However, they fail to take into account that Nicodemus most likely died after Jesus’ crucifixion/Pentecost, meaning Nicodemus died under the New Covenant. I Corinthians 6:11 Such were some of you; but you were washed, but you were sanctified, but you were justified in the name of the Lord Jesus Christ and in the Spirit of our God. So, the confusion of whether we are justified by faith is settled. Yes, we are justified by faith. However, we are no longer under the Old Covenant. Therefore, justification by faith in Jesus Christ alone will not bring salvation because it only brings justification. We are now under the New Covenant, which requires justification and sanctification for salvation. After we are justified by our faith, we must then be sanctified. Therefore, baptism is how we get “into Christ” (buried with Christ in death) and become sanctified by the Holy Spirit (resurrected with Christ into life), fulfilling the requirements of the New Covenant.